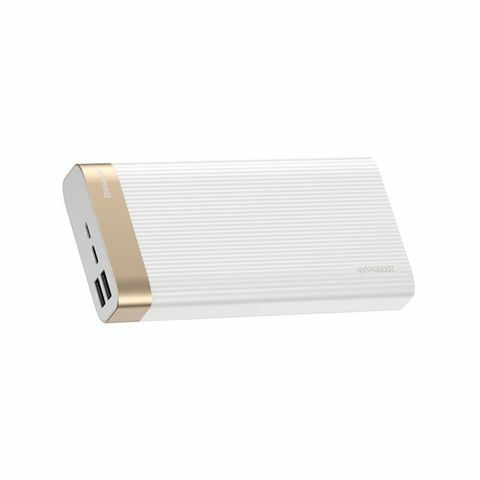 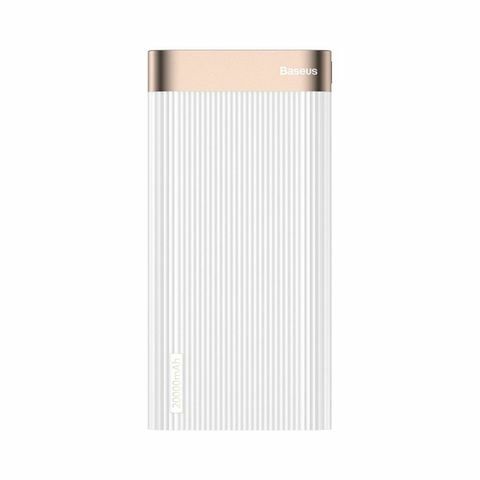 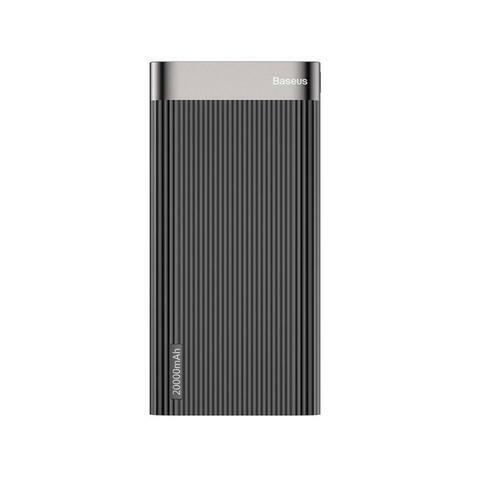 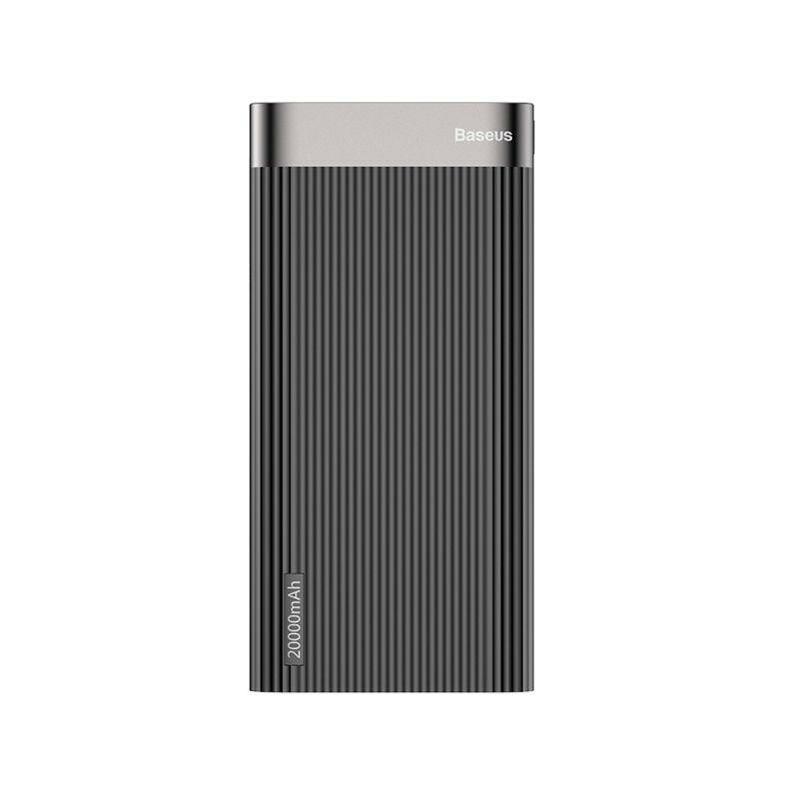 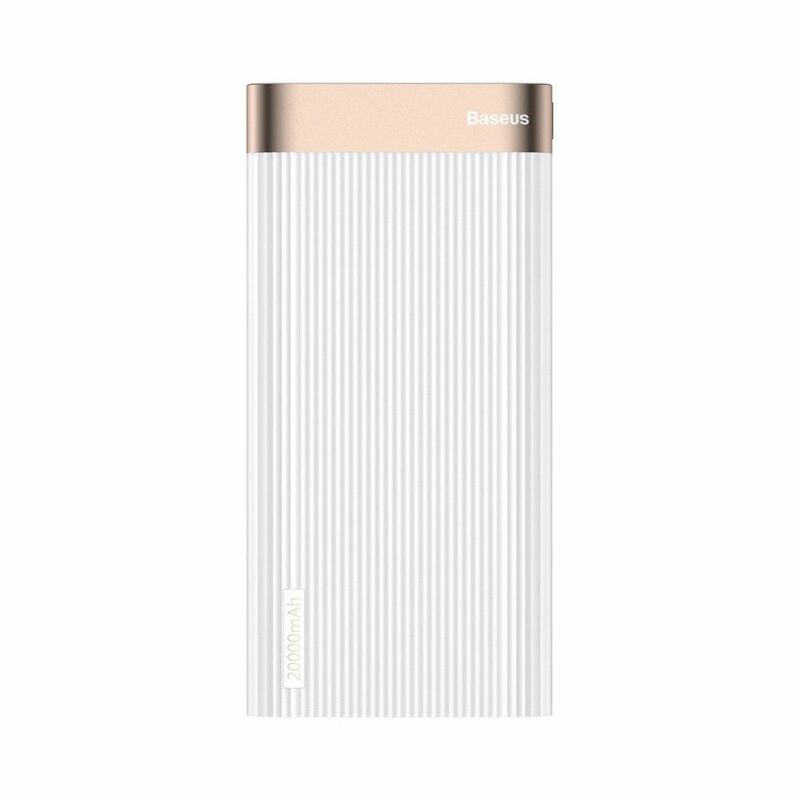 Baseus Parallel PD 20000mAh Power Bank - 18W. 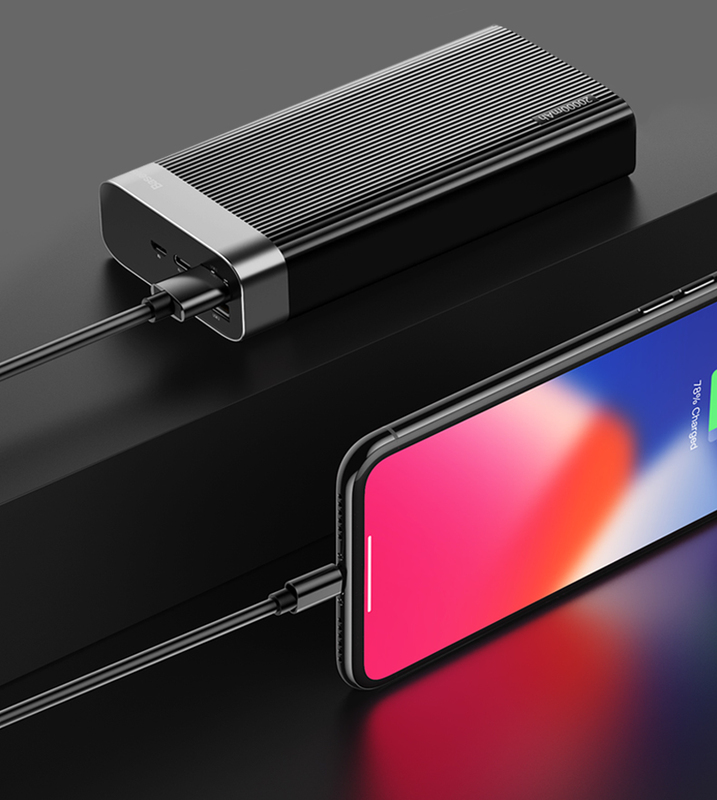 Charge up to three devices at the same time using your cables with this 20000mAh power bank from Baseus Parallel PD series. 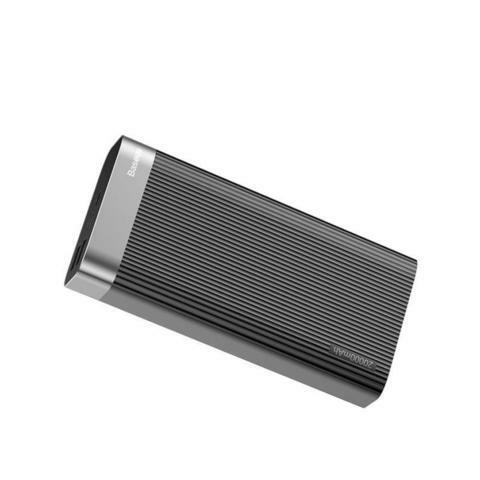 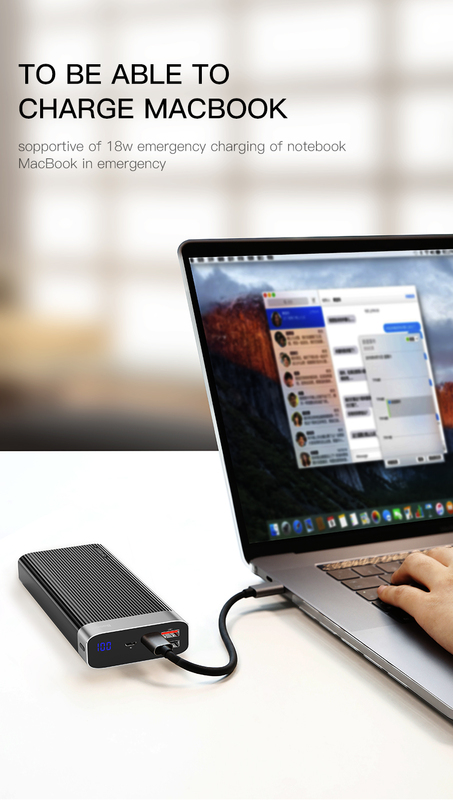 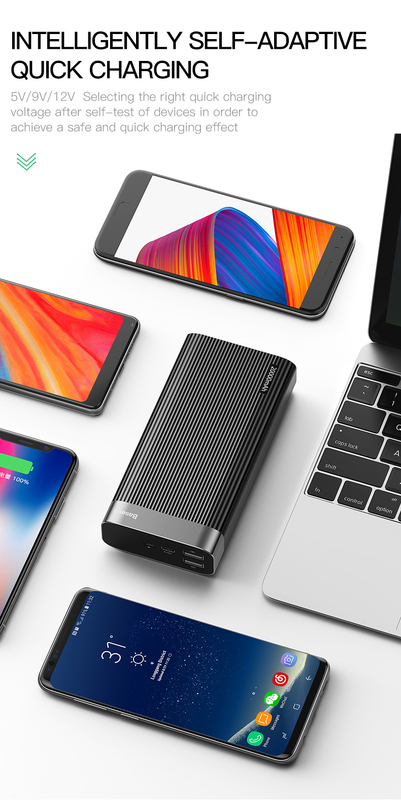 It has three output ports and two input ports in total with enormous 20000mAh capacity and 18W power. 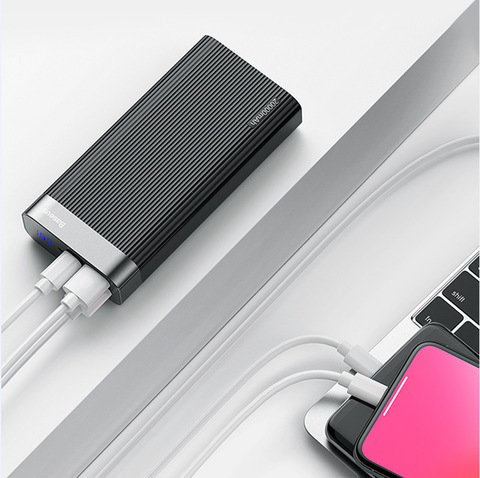 You can use it to recharge your smartphones, tablets, even a Mac Book. The integrated LED power display shows the remaining power of the Baseus Parallel PD. 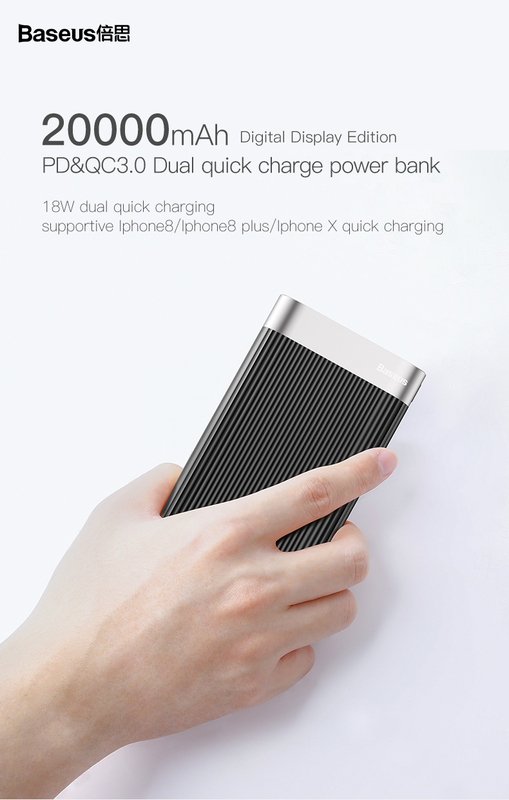 It supports Quick Charge 3.0 technology so that you can charge your devices in no time. 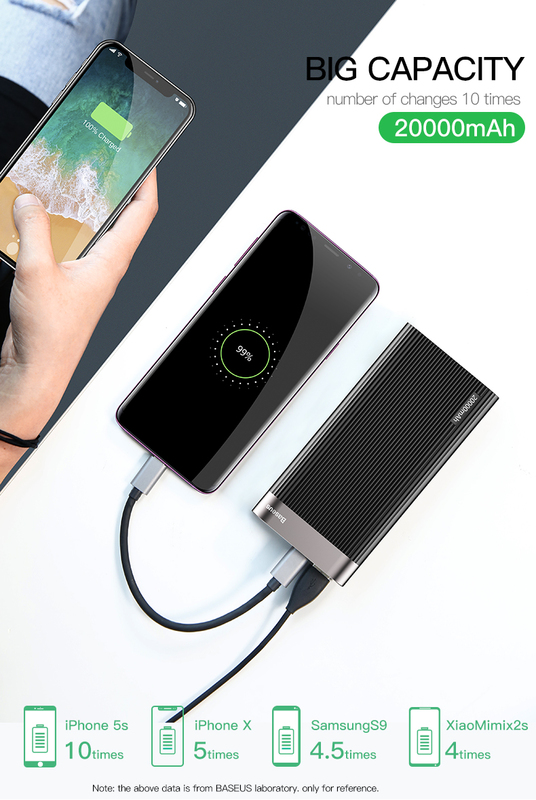 Multiple protection ensures safe and reliable charging of your devices. High-capacity power bank from Baseus Parallel PD series. 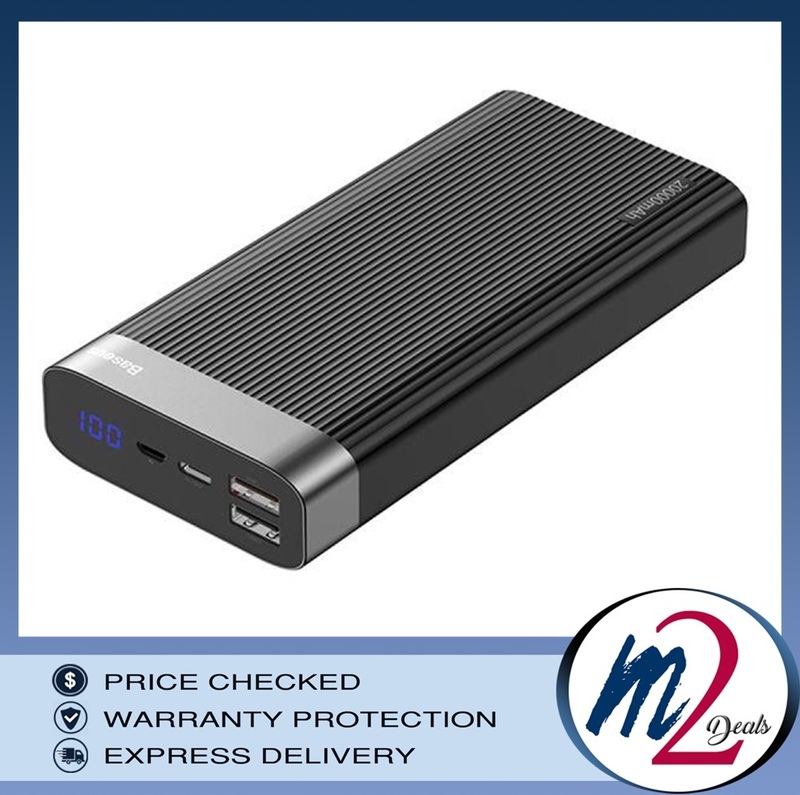 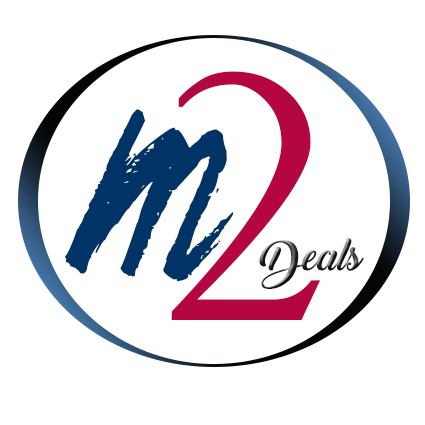 The enormous capacity of 20000mAh allows you to recharge your devices multiple times. 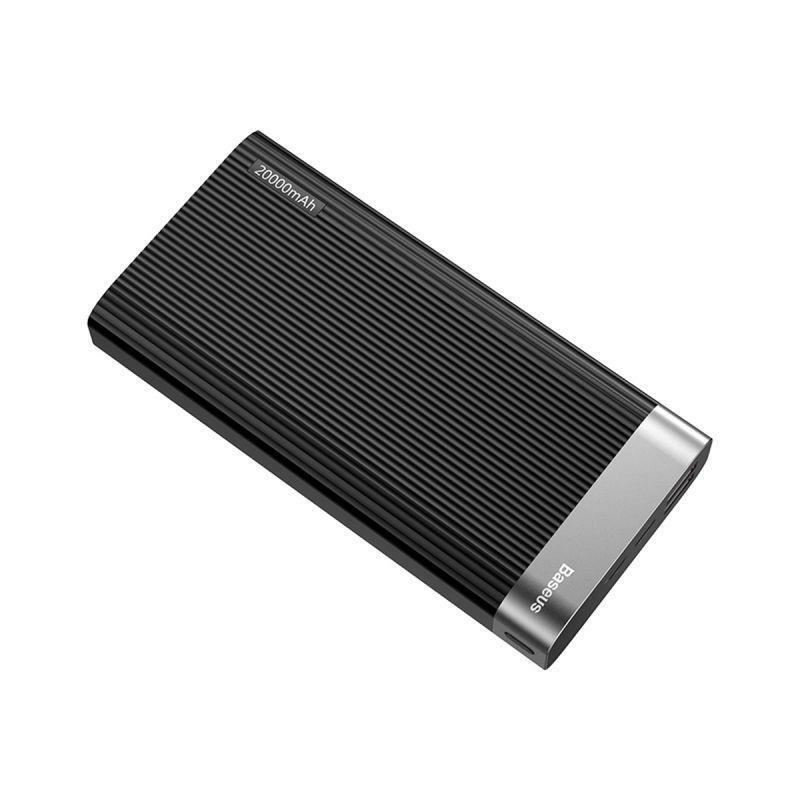 You can see the remaining power of the Baseus Parallel PD on the integrated LED display. 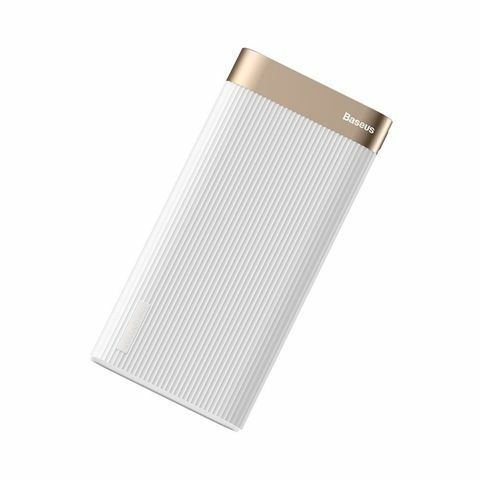 Over-current, over-power, over-voltage, over-charge, over-discharge, overheat, short-circuit, and electromagnetic field protections. 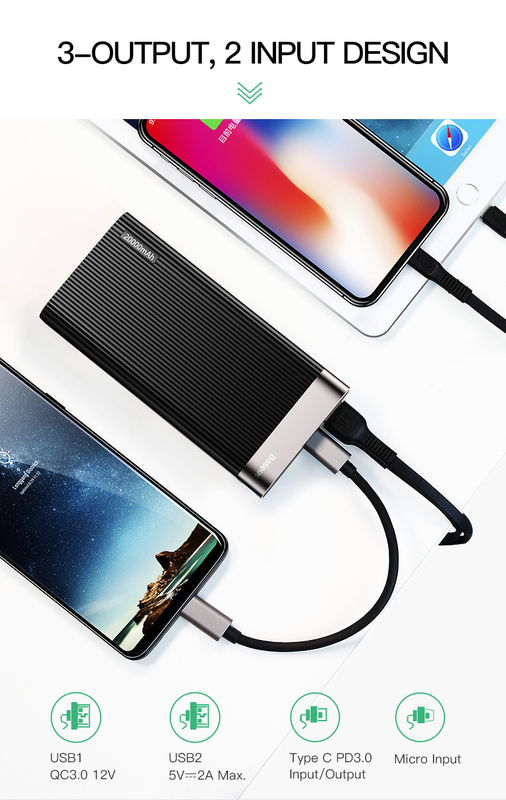 The Baseus Parallel PD supports fast charging so that it can charge your device quickly.